When it comes to windows, we all look for beauty, energy efficiency, and durability. There are many options nowadays, and one of the leading sources for windows is Alside. They have been manufacturing quality windows since 1947, and Kroll Construction is proud to be a certified installer. We offer Alside windows as a solution for wood window replacement in Detroit, Michigan, because of its features and benefits. • ClimaTech insulated glass – This keeps your home comfortable during any season. • Intercept® and ThermD™ Stainless Steel Warm-Edge Spacer Systems – These create a thermal barrier to reduce heat loss in windows. • Insulating argon gas – This colorless and non-toxic gas increases energy efficiency and noise reduction. All windows also come with tight seals to prevent any loss of energy. These seals also ensure years of protection against elements. Alside offers vinyl and specialty windows that never need scraping or painting. The materials retain their original color and shape even after exposure to heat, rain, wind, and snow. Windows from Alside are also easy to clean because these tilt inwards. These guarantee years of smooth operation without too much cleaning or repair. • Casement – This comes with a step-down frame and inner compression bulb seal. It also has stainless steel hardware for easy opening and closing. • Bay and bow – These styles can be a combination of double hung, casement, or fixed lite windows. You can choose an exterior roofing system made of copper or painted aluminum roof clad. • Garden – This window style has a full welded frame for strength and durability. It also has a head and seatboard assembly for ease of installation. Its multipoint locking system ensures a tight seal and security. • Swing & Clean – This has a swing-in design and drop-in glazing for energy efficiency. The DuraBrake™ pivot forces the sash to maintain its position when opened, while the EasyGrip sash lock allows for easy swinging. Alside also offers vinyl windows that ensure beauty, efficiency, ease of operation, and long-lasting performance. All windows are custom-made for your home and have decorative options, such as grid patterns and hardware. 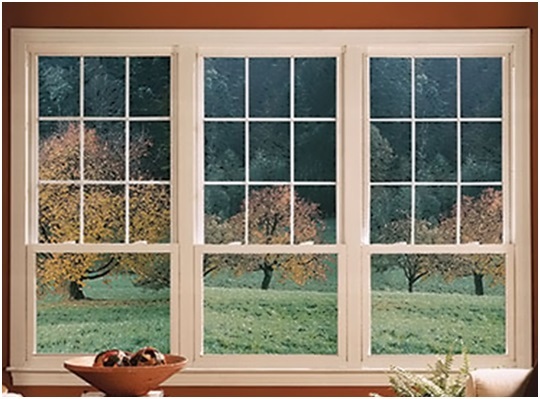 For Alside windows around Detroit and southeastern Michigan, trust Kroll Construction. We are a certified installer of Alside windows, so we can offer their industry-leading warranties. To learn more about Alside windows, call us today at (888) 338-6340.